Coming from out of town? Make it a two head race weekend. 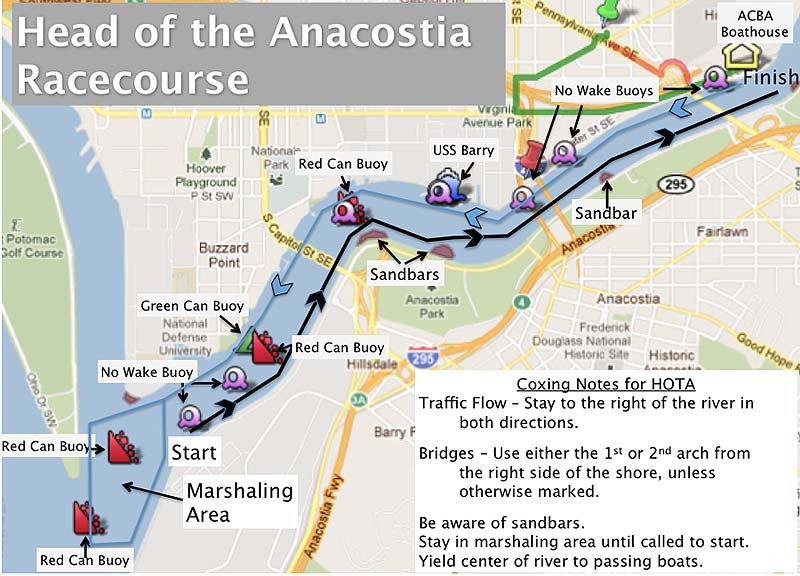 The Head of the Potomac is on Sunday September 27th. If you are interested in leaving your trailer overnight at the ACBA boathouse before heading out to the Head of the Potomac on Sunday morning, email the race director at hota@capitalrowing.org to confirm space is available. We are only about six miles away from the HOTP starting line. Overnight trailer space is available but limited. Novice is a defined as a Master who finished a novice rowing class less than one year from the date of the race. The pie contest is for bakers of all ages and skill. This year’s apple pie contest is sure to be phenomenal. The judging starts once racing is finished, around 12:45 pm. Apple pies are judged on the following four criteria, each of equal weight. Sign up for an exposition row in the Stampfli 24x after the racing is over. IMPORTANT: Send an email to the hota@capitalrowing.org with your trailer and van details by September 18, 2015 or you will not have space to park! Parking for rowers and spectators will be at the Maritime Plaza parking lot. The parking lot is on M Street before you get to the boathouse. The address for the Maritime Parking Lot is 1201 M St SE, Washington, DC 20003. The parking lot is a 3/4 mile walk to the boathouse.